Category: Fine-art print by Shyama Ruffell. 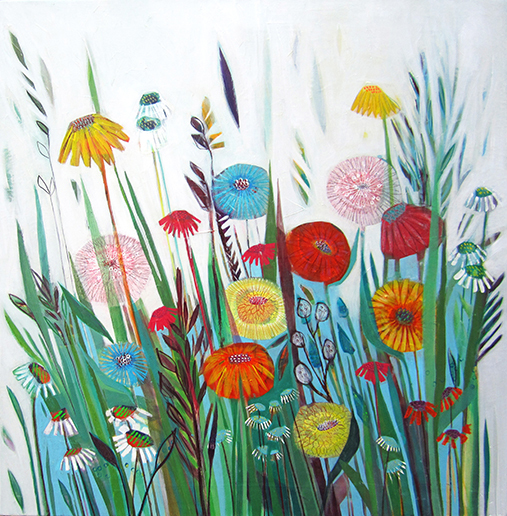 Tags: Bright, Flowers, Gardens, Landscape, Meadows, Seasons, Seeds and Stems, Wild flowers. Archival inkjet print from original painting by Shyama Ruffell. A Certificate of Authenticity is included on request. Canvas acrylographs are hand enhanced and every one is unique. Paper prints are sold un-mounted, ready to be mounted and framed.